Dr. (Prof.) A. 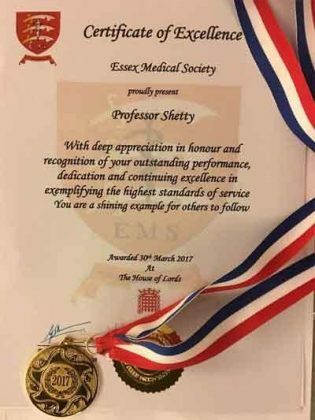 A. Shetty is a leading knee and limb reconstruction surgeon in London, United Kingdom, received the award from Lord Redesdale at House of Lords Dr Shetty is associated with many such causes. Healthcare is a socially responsible industry and he is proud to be a part of this sector and each day working towards betterment of the people. Dr Shetty hails from Asode near Koteshwara of Udupi District and now a big name in the medical field. Dr Shetty’s interest is stem cell research, cartilage transplant, accelerated bone healing, application of computer navigation,3D printing and robotics in minimally invasive surgery. He is highly respected by his peers and patients as one of the most gifted Surgeon and a surgical innovator. To his credit, he has been called upon to operate on many of his medical colleagues and he has been aptly called a “Surgeons Surgeon” by the medical fraternity. 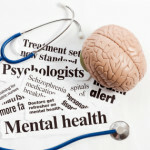 Shetty has been recognized as one of the most innovative surgeons in the health care industry. In 2008 he was awarded the silver medal in recognition of his teaching and research. He has travelled widely and given many national and international lectures, recently being appointed as a visiting professor of orthopedics. 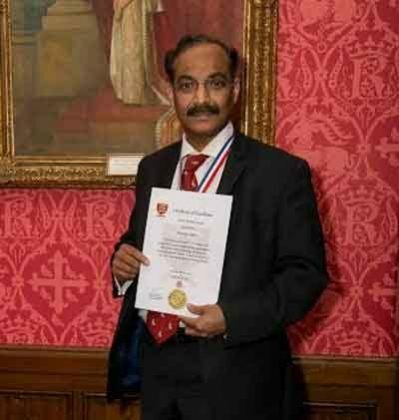 Dr Shetty is also the founder of SKRF (Shetty-Kim Research Foundation) in UK which supports Surgical training and research.